NewEgg is selling the adapter for $10 minues $5 promo code (EMCKNAP38) minus $5 rebate = FREE! Connect your laptop or desktop computer to your wireless network. 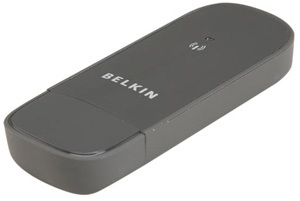 Backward-compatible with 802.11g devices at 54Mbps and 802.11b products at 11Mbps, the N150 Wireless USB Adapter can connect to older wireless networks and hotspots as well as newer 802.11n networks and wireless-N devices that offer increased range and speed. This rebate must be purchased by Wednesday December 9th, 2015.